The Epiphany at dusk. Photo courtesy of The Epiphany. You can now visit your kids at Stanford or your friend at Google in style. 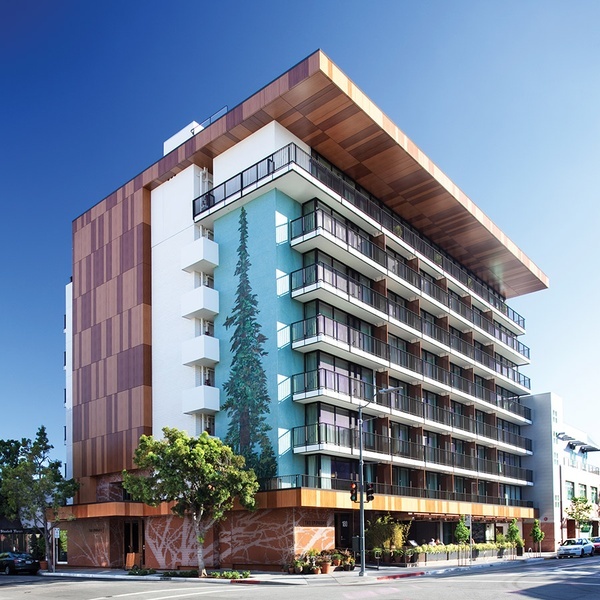 With the opening of The Epiphany, the Silicon Valley hotel scene is no longer a wasteland. Contributing editor Christina Ohly takes a look around. 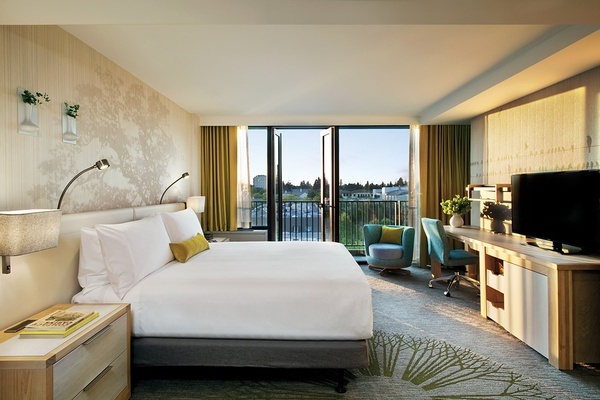 PALO ALTO, California – You're lucky if you actually get to check into a hotel in Silicon Valley, as it is one of the most underserved hotel markets in America. With the explosion of tech, the draw of Stanford University, and lovely weather year-round, the southern end of the San Francisco Peninsula is a huge draw for business people and tourists alike, many of whom have to travel south toward San Jose to score a good night's sleep. No longer. 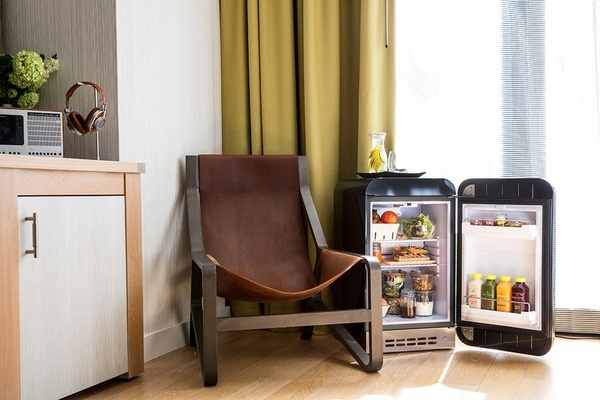 , the new addition to the hotel scene, is perfectly placed in downtown Palo Alto just steps from incubators, investment banks, yoga studios, and the most excellent chopped salads ever. 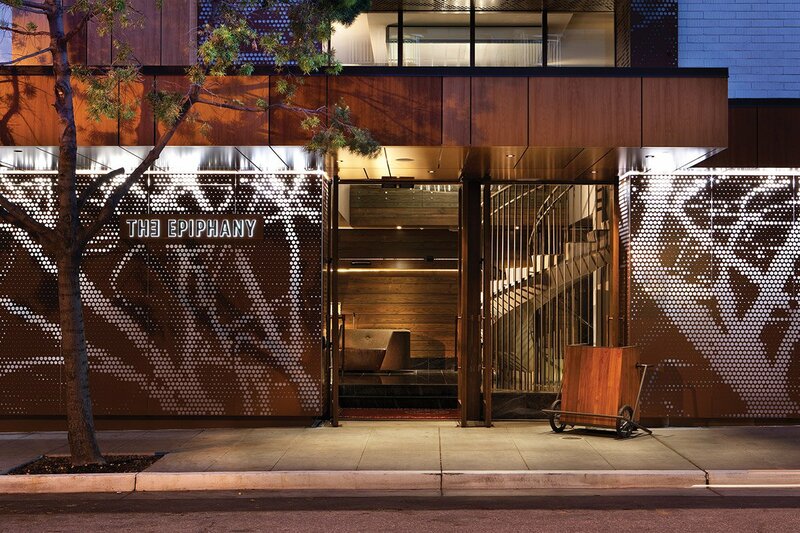 At just a year old, The Epiphany is the luxury boutique hotel for the tech crowd. 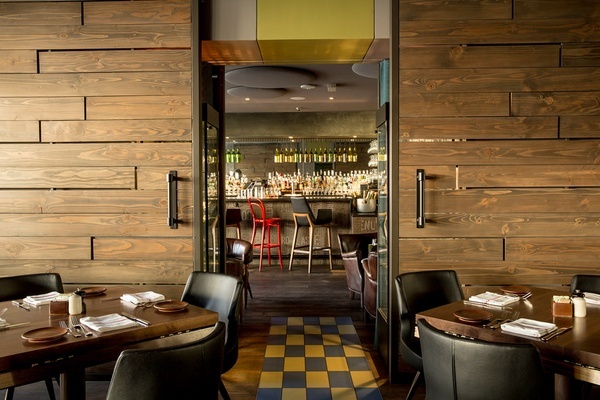 Located in the heart of Palo Alto just off University Avenue with its bustling restaurants and VC chatter, The Epiphany is a design-led, sleek spot with no airs whatsoever. The parent company, smart hotel group, has struck a series of partnerships with emerging tech companies — Jawbone and New York-based Master & Dynamic audio among them — to introduce guests to the latest in Fitbit and headphone technology. 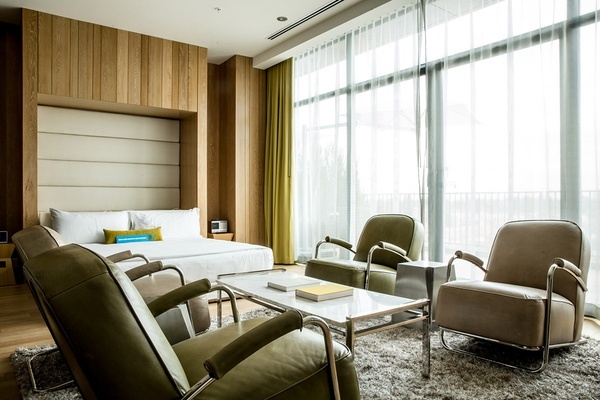 Rooms have sleek furnishings with natural wood finishes, flat screen TVs, and lovely terraces overlooking downtown. The WiFi is excellent (natch) as is all of the technology (from TVs to bathroom lighting). The rooms and suites on the 7th and 8th floors have outstanding views (room 802 is a winner) and there is a focus throughout on natural light. The hotel restaurant, , is an excellent, standalone draw. Vivre gym across the street offers a full-service program, including classes, for those in search of a comprehensive workout. A Project Edison chandelier — a kinetic light sculpture created with tech company IDEO — pulses and retracts in response to various data streams and makes sitting in the lobby a complete joy. And it should probably go without say that if you're in town for meetings, the hotel has great facilities if it's your turn to host the team. You'll be one block from University Avenue, which has everything from the basics (CVS, Starbucks) to great, relatively inexpensive cafes. 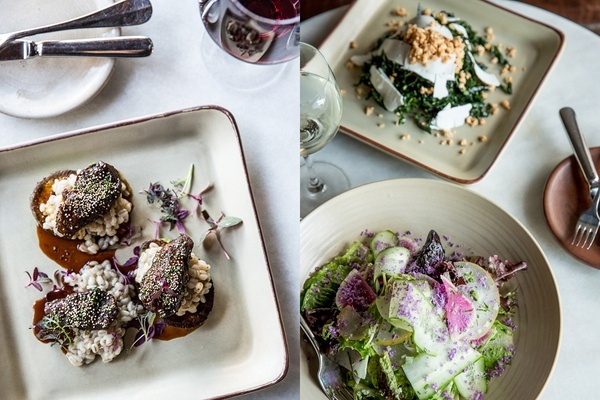 is a new lunch spot that serves enormous salads and sandwiches in a rustic, airy setting. is the new coffee communal workspace for networking and absorbing the incredible energy in the Valley. Other foodie highlights include for excellent Vietnamese dishes, for mezzes and chicken souvlaki, and for delicious pitas stuffed with chicken, tahini, and a secret sauce. Be sure to arrive early — lines start forming at Oren's at 11:30 a.m. The new kid on the block is , a maki roll meets burrito concept where the Satori (a kampachi yellowtail, cucumber, pickled red onion, sweet corn, red tobiko, avocado, and wasabi mayo combo) has people waiting for 30 minutes or more. Those excellent chopped salads, by the way, are at . Don't miss the relatively new at Stanford University where modern and contemporary artworks by Mark Rothko, Jackson Pollock, Robert Motherwell, and Louise Nevelson are displayed in spare, soothing spaces. Continue on to the before visiting the iconic at the center of campus. An easy hike to the at the edge of town leads to excellent views of the Valley, the Bay, and its bridges in the distance. Rates start at $269. .